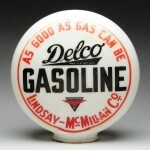 Long ago, gas pumps not only served our needs by providing us with fuel, they also advertised the company of the gasoline they supplied. 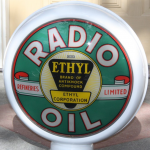 These pumps were beautiful, not like the gas pumps of today where it’s mostly industrial. 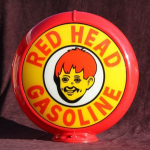 No, these gas pumps made a statement and that same statement stands today. 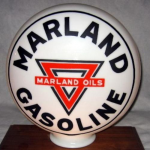 One of the main features that stood out were the globes that sat atop the pumps. 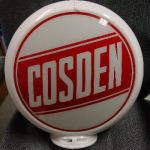 Quite simply, a round ring with two glass lens which showed the company’s name and logo. 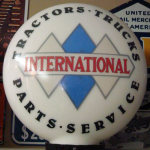 Advertising globes today are highly sought after pieces. 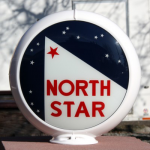 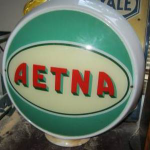 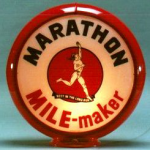 Unlike their metal advertising counterparts, being normal porcelain signs, the glass lens could shatter, making gas pump globes scarcer than the signs.